I absolutely must make sure that I visit next time we are in town! Raised in Paradise Valley and now living in Lexington, Ky and so wishing I could come to your show today! Next best thing....my wonderful mom, Nancy Barnes, is coming to meet Brooke & shop for the very first time! She knows how Brooke and I have become friends over the years and what an inspiration she is to all of us! 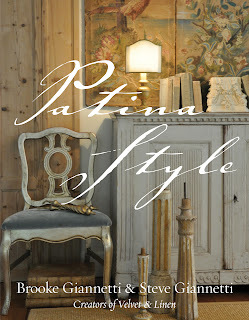 How wonderful that you have invited Brooke for a signing of Patina Style! Can hardly wait to get my copy. Best of luck for a fantastic event!